AQAF is always FREE! Click to email TechAssist@AQAF.com. Like it or not, the Medicare Access and CHIP Reauthorization Act (MACRA) is here. MACRA repealed the SGR payment system and adopted a new two-track system requiring physicians to choose either the Merit-based Incentive Payment System (MIPS) or the Alternative Payment Models (APMs). It’s estimated that in 2017, about 90 percent of practices in the U.S. will fall into the MIPS category, 100 percent of the practices in Alabama, and it will serve as a stepping stone for some of those practices to join APMs in subsequent years. The results of the MIPS data collected for the 2017 calendar-year reporting period will affect a provider’s 2019 Part B Fee Schedule with a positive, negative or neutral payment adjustment. While MACRA only impacts Medicare Part B payments, commercial payers typically follow Medicare’s payment models. It is likely that risk will be more prominent in the commercial setting over the next several years. Initially, physicians can choose MIPS or join an APM, such as an accountable care organization or patient-centered medical home. If they make no choice or are deemed ineligible for an APM incentive payment, they will be assigned to MIPS. Free AQAF Assistance: Transition to MACRA’s Quality Payment Program AQAF provides free training on MACRA. 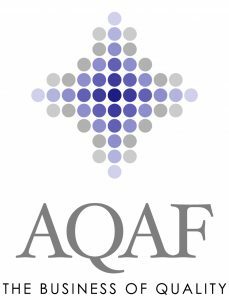 Contact AQAF today! Need to know your MIPS participation status? Find out online. Are You a Medicare Provider Without an EHR? Find out how you can avoid the MIPS 4 percent penalty by participating this year. Identify strategies to implement in your personal practice that will prepare you for the transformations coming your way with MACRA legislative mandated changes. Describe the role of effective data capture starting in 2017 to determine the value of services and health care reimbursement under population-based payment (PBP) models being applied effective in 2019. Implement changes in improved data capture that align with MACRA essential documentation within the group practice and among organizational leaders.